JNN 06 Dec 2014 Washington : On Tuesday, an official in the US Department of Defense revealed that, the list of countries that bombed the sites of the terrorist organization ISIS in Iraq is not limited to the classical allies of the United States, but apparently there is a new partner in the airspace; which is Iran. He indicated that the bombing does not require an immediate response from US unless it threatens the US Air Force. 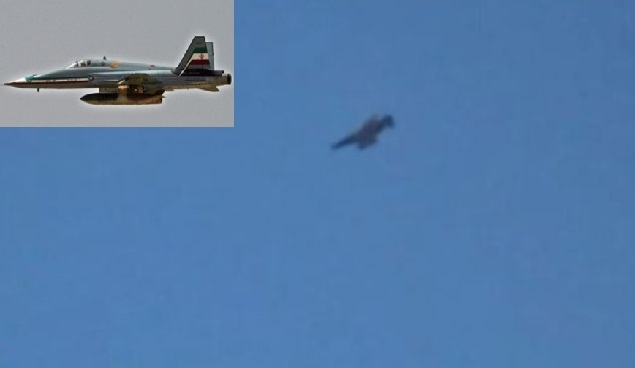 The American newspaper ‘Huffington Post’ said in a report followed by Iraqi News, “The list of countries that bombed the sites of the terrorist organization ISIS is not limited to the classical allies to the United States; which are Canada, Britain and France,” pointing out that a new partner has emerged in the airspace; it is Iran. The official added, “The Iranian bombing will not end as long as the Iraqi government feels threatened by ISIS”, noting that the bombardments were carried out in areas near the Iranian border in different parts of Iraq away from United States and its allies’ bombing. However, the deputy chief of staff of the Iranian armed forces has dismissed those reports as “totally untrue”. “The Islamic Republic of Iran blames the United States as the root cause of unrest and problems as well as the terrorist actions of ISIL in Iraq,” Iran’s state news agency FARS quoted General Massoud Jazayeri, as saying. This entry was posted in Iran News, Middle East and tagged F 4, iran, Irani Jets, Iraq, Iraqi Border, ISIS, US Air Force. Bookmark the permalink. HOW I WAITED TO HEAR THISâ IRAN SEND FORCES AND BOMBS TO FIGHT ISIS TERRORISTS â, THE KAFFEREEN ALLIES OF SAUDIA WAHABIA. ALHAMDOLLILLAH, NOW IT IS CERTAIN THAT THEY WILL BE NEEST O NABOODSOON FROM EXISTANCE , INSHALLAH , MUBARAK IRAN .